I love dogs. 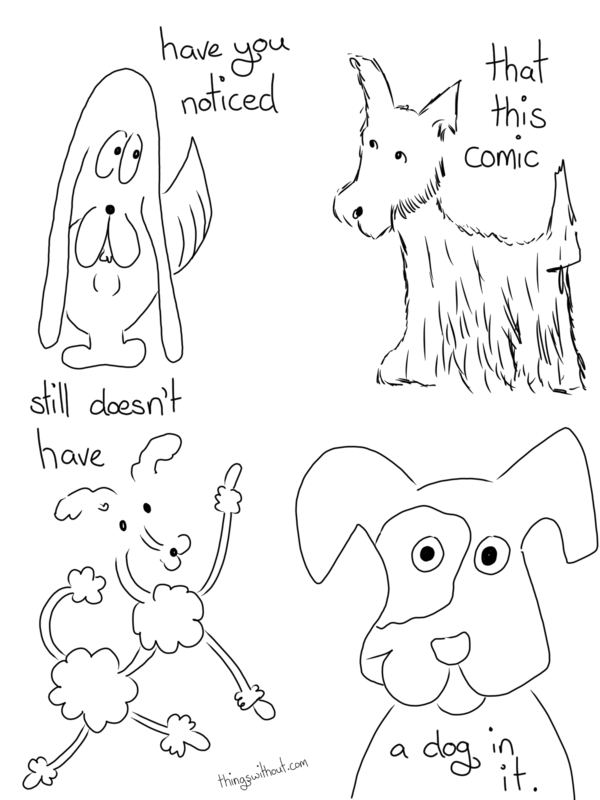 My dad used to say all my drawings looked like dogs (there is something doggie about dragons and horses), so it’s interesting to me that the Things comic does bit have a dog character… Even though there is a cat character! Pumpkin Cat seems busy enough feuding with Bunson, however.